This week, the Northwest Power and Conservation Council staff updated Council members on regional energy efficiency savings and savings projections relative to the goals contained in the 7th Power Plan. The good news is that the region beat the 2-year milestone in the plan. The bad news is that the region is on a path that will fall well short of its 6-year targets. 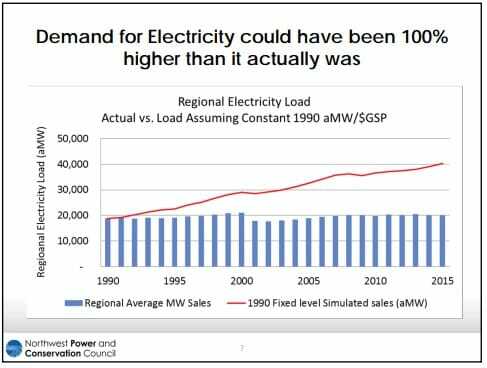 Part of the shortfall is due to the Bonneville Power Administration (BPA). The agency is projected to fall behind its targets and still proposes to cut energy efficiency funding by 10% in 2020 and 2021. 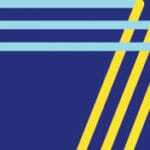 This is especially disappointing because it was only two months ago that Council staff reported on energy efficiency’s immense contributions to the Northwest economy. 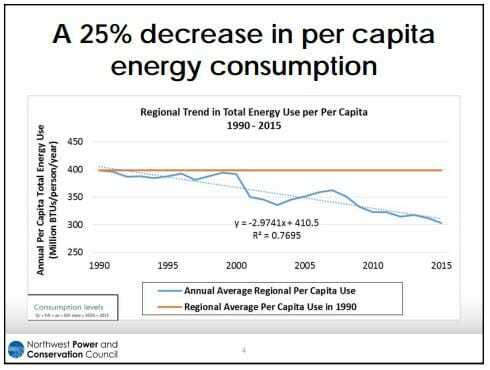 Per capita consumption of electricity dropped by 25%. 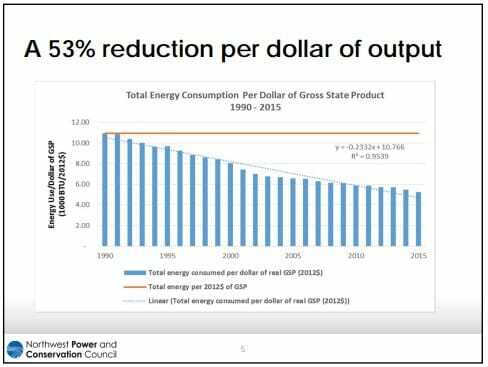 Energy expenditures per dollar of economic output declined by 53%. 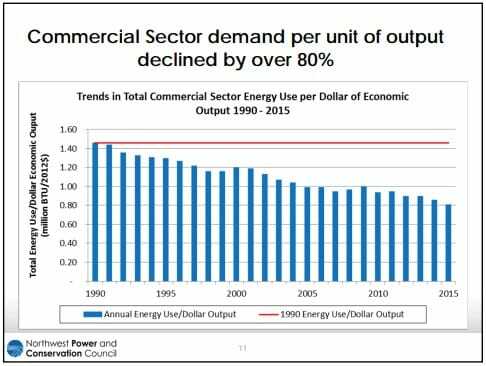 Commercial sector demand per unit of output declined by over 80%. Without these savings, today the Northwest would require two times the amount of electricity it currently uses. And money that we’ve been able to invest in our families, in jobs and industry, and in education would have been needed to build power plants. At the same time, a recent analysis shows that the energy efficiency industry now provides more than 120,000 jobs throughout the Northwest, accounting for nearly three-quarters of all clean energy jobs in the region. Against that backdrop, any retreat on energy efficiency must be challenged.